It’s here! Release week of my first ever indie-published novella COVERT INTENTS. 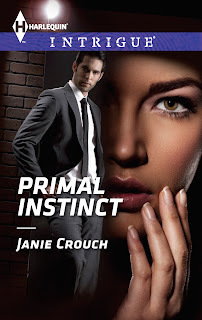 When my critically acclaimed debut novel PRIMAL INSTINCT released in 2014, I had lots of readers ask if I would be writing the story of Seth Harrington, Conner Perigo’s FBI partner. At the time I hadn’t planned to write it. Mostly because I hadn’t yet found the right woman for someone as dynamic and funny as Seth. Ended up the right woman for Seth was Rachel Branson, cousin of the somewhat notorious Bransons (Cameron, Sawyer, Juliet and Dylan) who work for OMEGA SECTOR in the Covert Operations Division. 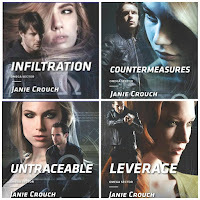 But unlike Seth and her four cousins, Rachel is not a spy, not an agent, not someone looking for danger and excitement. She’s a sweet, shy literature professor, a little insecure about her looks, and always has her nose in a book. Seth can’t get Rachel out of his head. Unfortunately, he’s undercover and can’t tell her who he really is. But when a terrorist puts Rachel in the middle of the danger, suddenly she’s the only mission of any importance to him. “No, I believe you’re law enforcement. I can’t believe I didn’t put it together before.” Rachel gave an anxious little cough, her eyes darting around his apartment. She was nervous. He didn’t blame her. After everything that had happened to her today she’d be foolish not to be a little nervous. “Oh yeah?” Seth wondered what had given him away. “That’s not good in terms of me blending in. I was trying not to draw anyone’s attention. My undercover skills must be rusty.” Which could get him killed if he wasn’t careful. “I don’t think it was obvious to anyone else. I was just more in tuned with you than most people, I think.” Her face flooded a bright red before she looked down and away, her face covered by her long brown hair. Seth’s eyes narrowed and he felt his body tense. He slipped off his jacket and hung it over the kitchen chair, trying to give himself time to recover. To back down from what he knew he was on the verge of doing. Proving to Rachel Branson how wrong she really was. Damn it, he should walk away. Make a joke. Ease her down gently about how the job really was important. Seth was good with people. Good with words. He should be able to do this. But he couldn’t. Not this time. He wanted Rachel too badly. Had for two months. 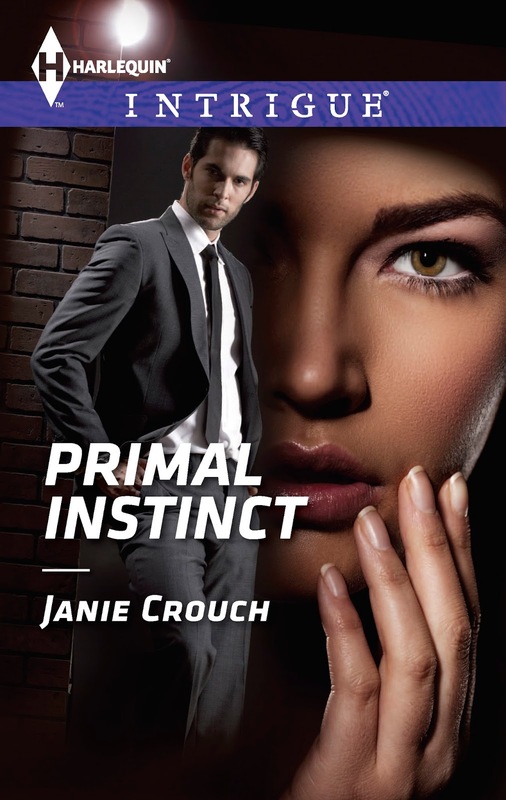 “You know you’re an incredibly smart woman,” he said gently, softly, giving away none of the predatory instincts coursing through him except to take a slight step toward her. But she could feel the danger instinctively. Not that he would hurt her, but that he was coming for her. She backed up a step. “What?” She took another step back and ended up against his refrigerator. He’d stayed away for other reasons too —like her cousins pummeling him into the ground if they knew what he was about to do her— but he didn’t mention that since she didn’t know they worked in law enforcement. And because it wasn’t enough to keep him away anyway. Rafflecopter giveaway here, winner drawn October 7. 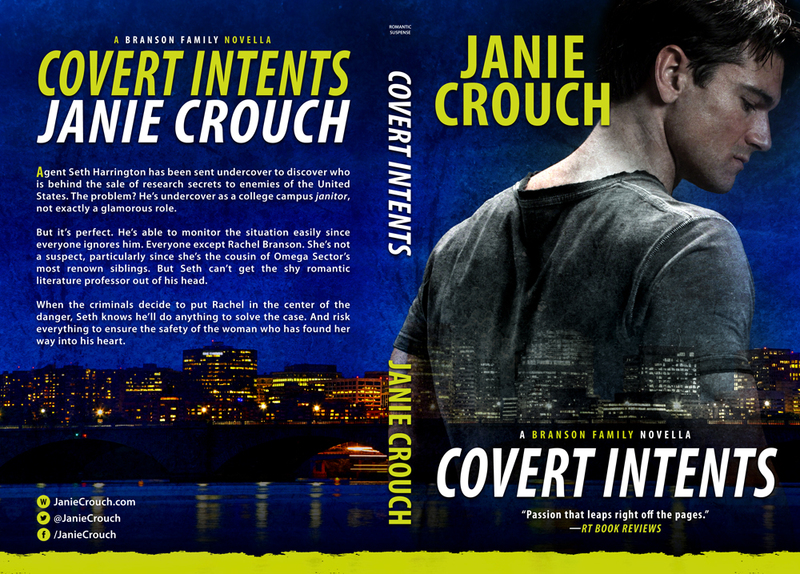 Plus, one winner will receive a print (for USA residents) or ebook (for all others) copy of COVERT INTENTS. 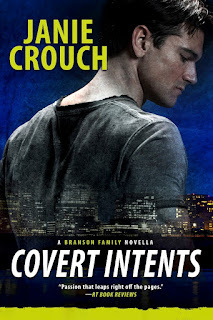 Leave a comment below, with your favorite name for a romantic suspense hero, to enter. Great post, thanks for sharing. I'm currently rereading "What She Doesn't Know" by Beverly Barton, and Max Devereaux is definitely my kind of hero. He has an aura of a bad boy from the wrong side of tracks, but he is the one who takes care of his family and puts their needs above his own. Love him to pieces! I'm going to have to check that one out, Natalija! Sounds so interesting! Thanks for stopping by. I like all those names, Liz. Thanks for stopping by! Gabriel is definitely a great name. Shortened to Gabe by his friends... I really like it! 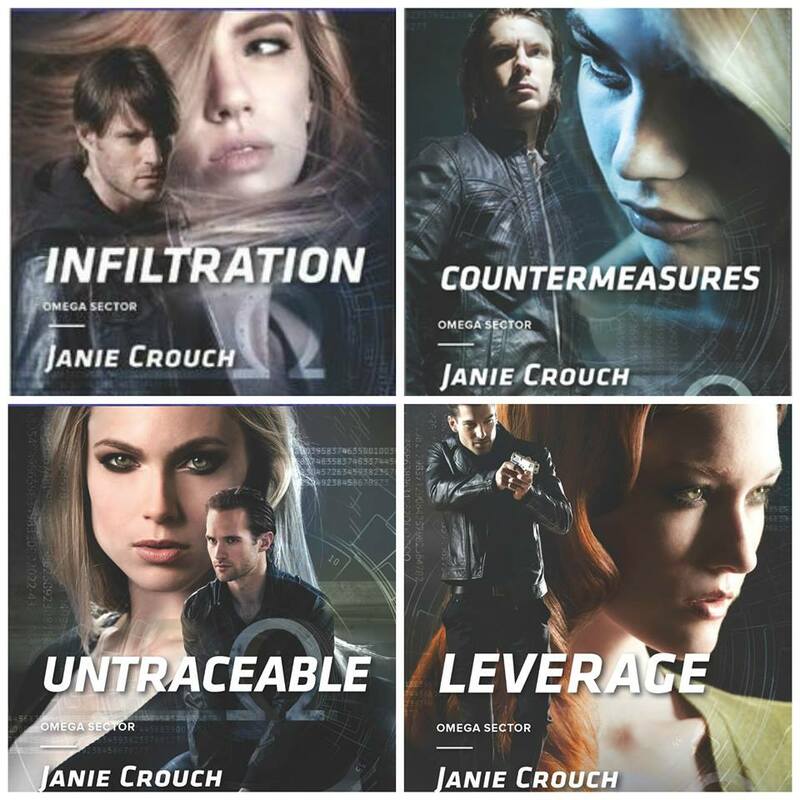 congrats to Jamie on her new release! I love anything Irish... like Roarke :) thanks for sharing! Thanks Erin! Roarke... great name!! Happy release week for your novella! Hmmm, the first name that popped into my head was Trenton. A wonderful excerpt thank you. I have to say Oliver. I can't even begin to guess why. I like the name Oliver! Although I have a cousin-in-law who may not like a character named after him. :) Thanks for commenting, Mary! Hmm, fave name for a rom suspense hero? Kyle, Drake, Morgan, Brent, Adam, Charles, or Henry. All great names. Like them all! Congrats on your new release, I love your books. For a hero's name, I like Archer, Ethan, Hunter, Liam, Thomas and Zane.